For generations, gardeners have been propagating blackberries (Rubus spp.) and other brambles by cloning. 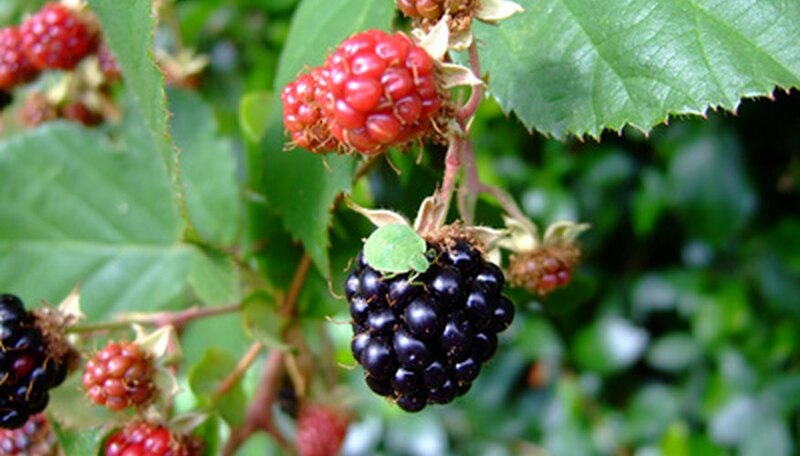 In the plant world, cloning carries none of the controversy of animal cloning, and many plants, including blackberries, will naturally reproduce by cloning. Clones are exact replicas of the mother plant, and cloning allows you to propagate especially successful specimens. Blackberries can be propagated by taking leaf or stem cuttings, or by digging out and replanting suckers that form on the mother plant. Many gardeners clone blackberries with a technique known as tip layering, described below. Dig a hole 3 to 4 inches deep near a healthy blackberry plant. This should be done in mid- to late summer, when the blackberry is in an active growth cycle and when there are still several weeks left in the growing season. Place the tip of a blackberry stem in the hole and backfill with soil. Over the next few months, the blackberry tip will grow up through the soil and will put down roots where it is buried. Care for your blackberries as usual for the rest of the season, and water as necessary. Do not disturb the tip layering area. Cut the original stem free the following spring with pruning shears. Dig up the new blackberry shoot and replant it in your desired location. You may also allow it to grow in place if you want to expand your existing blackberry patch. Tip layering is most successful for trailing and semierect varieties of blackberries, as well as some thornless hybrids that don't respond well to root cutting. Erect varieties of blackberries can be cloned by taking a stem cutting and burying the cut end in a mixture of peat moss and sand until it develops roots. Blackberries do best in full sun and are adaptable to many soil types as long as they have good drainage. Blackberries like warmer climates and can suffer frost damage in areas where the winter temperature regularly dips below zero.